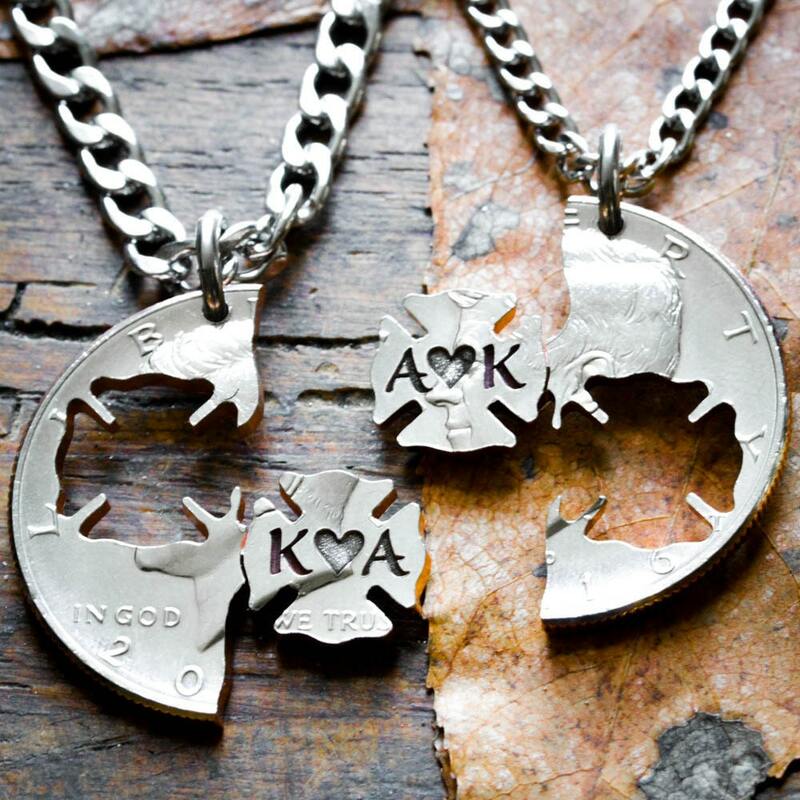 This His & Her's firemen necklace is perfect for you firefighters and your special someone. 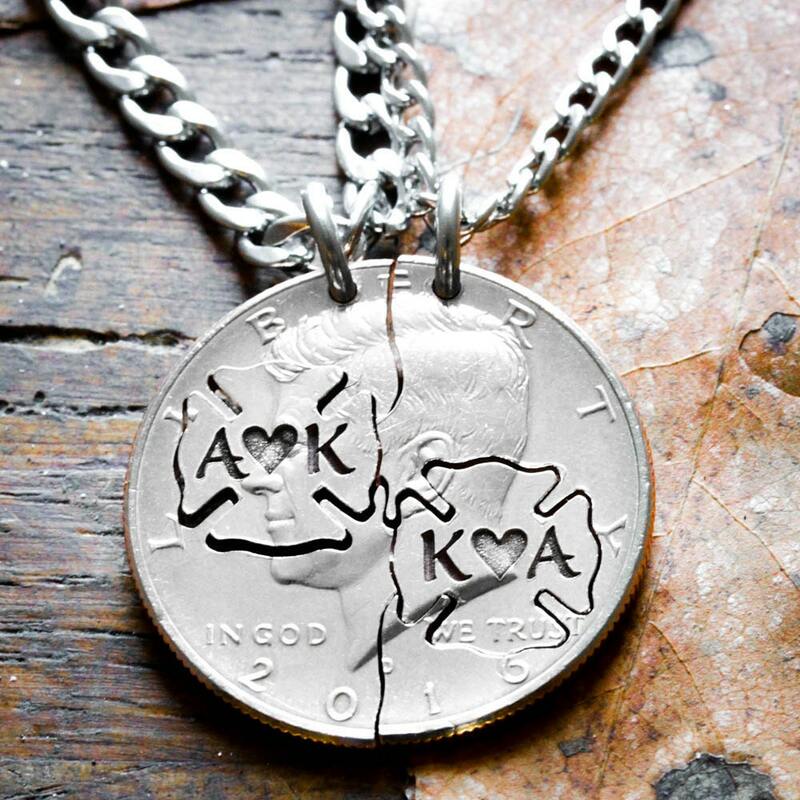 They interlock perfectly and come with customizable engraved Initials. 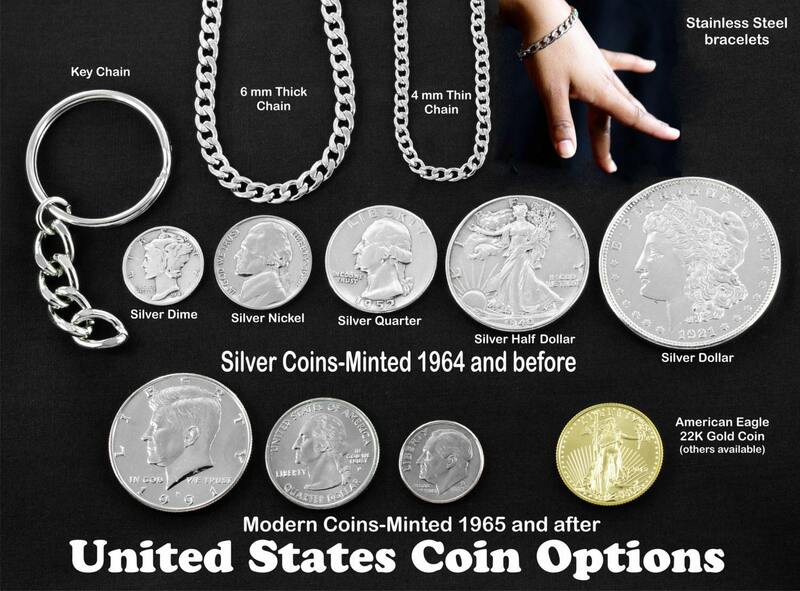 So each coin is made just for you! 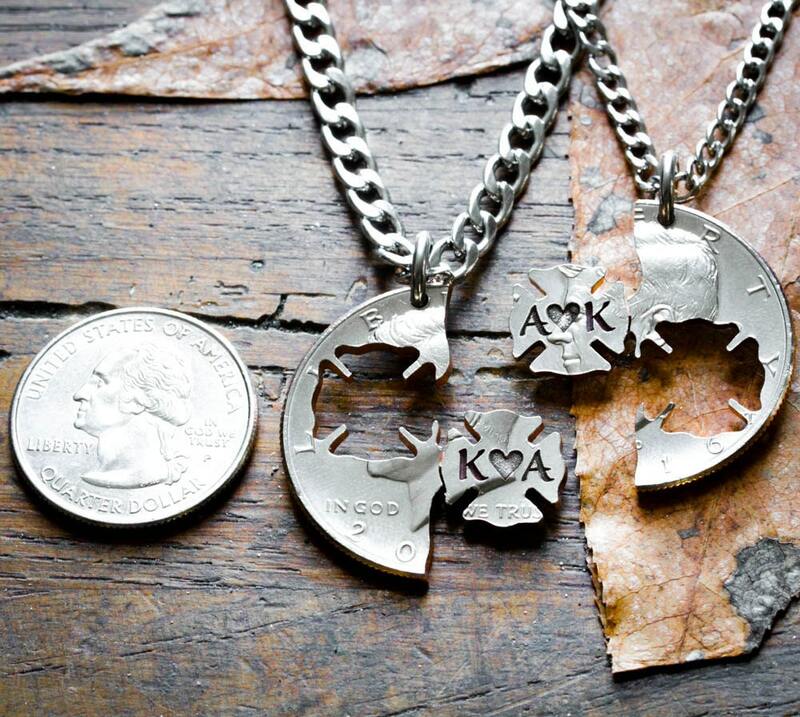 Please tell us in your order comments what initials your would like us to engrave on each side. 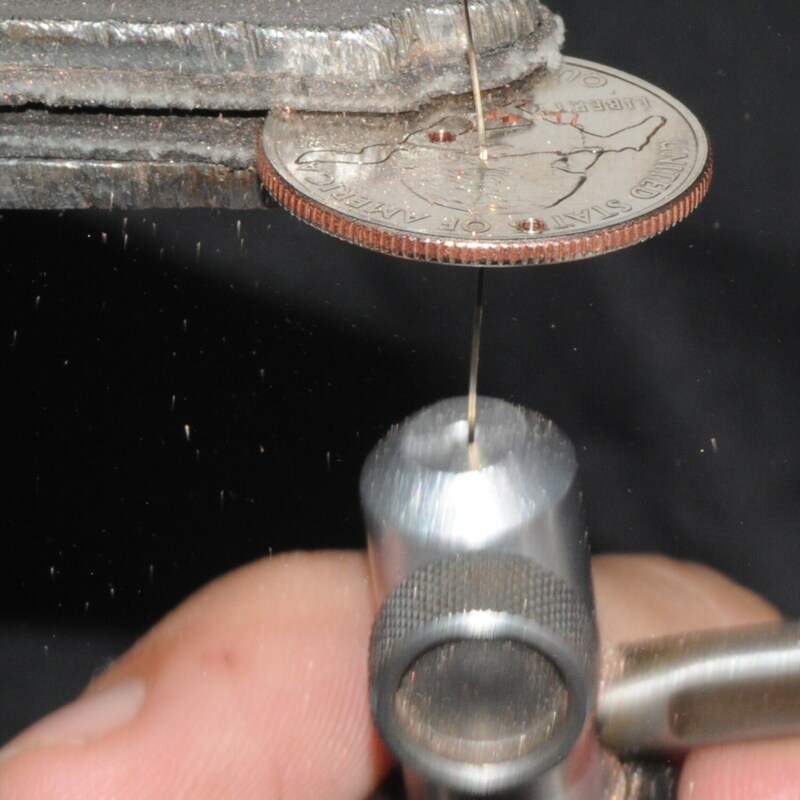 We do not cut the letters and heart all the way through, we etch them deeply into the coin.